When Currently, Kelsie came to be back in mid-January, I didn't really know what I was getting myself into. The world of link parties, round-ups, PicMonkey, and self-promotion were foreign to me. I didn't even have a Facebook page, or any idea where this blog would go. I simply knew that I had a heart to live fully in the moment, while also sharing stories, tips, and my heart for us all to learn fearlessly and love fiercely. A large part of any ministry is the opportunity (and need) to be vulnerable and real with one another. It's hard to advance the kingdom or lead people to the Lord without first acknowledging our own brokenness and need for a Savior. Wrestling with this brokenness helps us remember to place God first, as we are constantly being redeemed and shown grace. This is my heart behind sharing my own brokenness and vulnerable stories in an effort to do just that. Blogging even offers an audience for this on a larger scale than previously possible. One thing I've loved about blogging is just the chance to connect with others through comments. I love conversation, even if it's electronic, and it has been oh so fun to see the ways in which people relate to certain posts, ask questions, and provide much-appreciated encouragement. But one thing I've loved even more is the way that blogging has opened the door to so many in-person conversations. I am so blessed by and thankful for the readers out there who take the time to tell me in person that they really resonated with a post or were blessed by it. It has opened the door to some beautiful face to face conversations that I'm not sure would have ever happened otherwise. Pretty cool to see the way God can use my own measly words to connect with others, both online and in person. In order to thrive, all ministries need people who will live out their faith together. I see this on my YoungLife team on a daily basis, but I have been pleasantly surprised to find it in the blogging world as well. I am so thankful for all the wonderful Christian women who have bonded together with me through groups like The Alder Collective and The Peony Project, as well as through various link parties. It is so encouraging to find women with the same heart, and I hope to provide that sense of community here at Currently, Kelsie as well. I have been absolutely floored by the way the Lord has brought just the right stories into place at the perfect time. It has truly been His provision and plan all along. This summer, I finally got the Moments section of the blog kicked off: a guest post space where others share a moment on anything from miraculously getting pregnant to what millennials are looking for in ministry. I was recently approached by someone thanking me for sharing Pam's recent guest post on adoption. 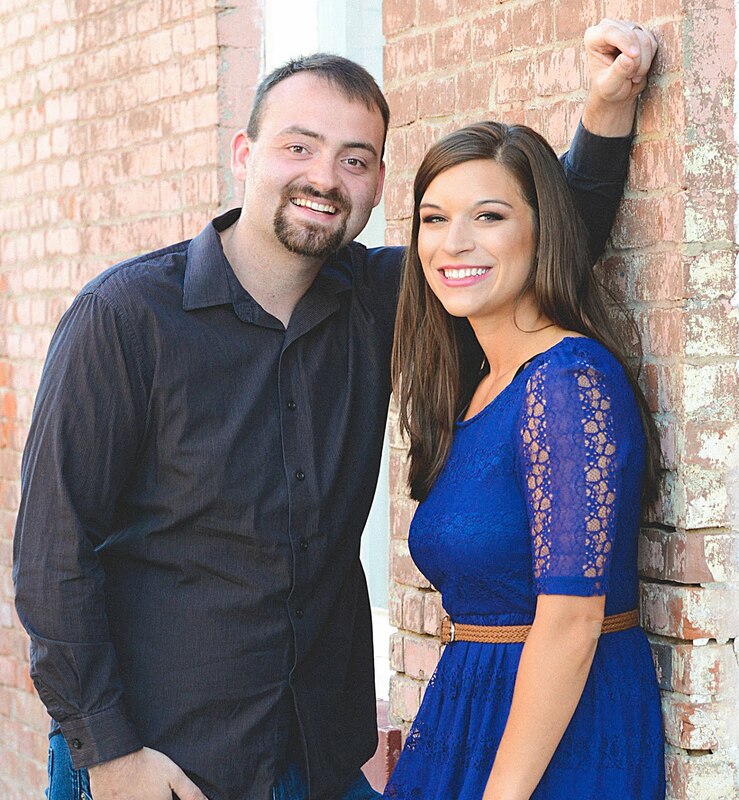 It seems that their family had been waiting for years to adopt, and the post came at the perfect moment: a means of encouragement, God-ordained. Another post by Kacie went viral around her school, and all her students got a sweet reminder of just how awesome their teacher was. I could go on about all the wonderful stories that my amazing friends have shared, but just know this: God is at work through these relatable, vulnerable words we share on the world wide web (and through everything!). As a YoungLife leader who has spent years and year investing in kids and loving them as they are, while sharing the hope that can be found in Jesus, I am used to being outspoken about my faith. But for some reason, I'm less likely to share this faith with people my own age. (Anyone with me?) It's not that I'm afraid, it's simply that I'm less gutsy and don't always feel like I have a good enough relationship with others to speak about my faith with them. Blogging has been so amazing in this way: I have been able to proclaim my faith through words to thousands of people of all ages. It's totally their choice to read or not, but I love knowing that God has a plan in this, and I hope and pray that those who visit may in some way be pointed back to Him. I can share the reason for my hope with no shame, and proclaim truth in a modern format that reaches a whole different audience than I would ever have reached before. So cool. Let me just say this: blogging is not my sole form of ministry, and it never will be. I am definitely an extroverted people person who loves honest conversation and investing in the lives of others face to face. But it has been a beautiful journey as the Lord has unveiled the ways in which blogging can lead to this same concept of ministry, just in a different way. Wrestling with brokenness together, in a community full of people with relatable, vulnerable stories has been such a joy, and I hope and pray that the Lord continues to use this blog as a part of His plan. He is faithful. I'm linking up with Messy Marriage, Coffee for Your Heart, Giving up on Perfect, Women with Intention, Thought-Provoking Thursday, The Quintessential Mommy, What Joy is Mine, Modest Mom Blog, A Fresh Start on a Budget, Word with Winter, Time Warp Wife, Painted Teacup, Tuesday Talk, Testimony Tuesday, Intentional Tuesday, Unite Linky, Tell it To Me Tuesdays, and Wholehearted Home. I love the connections that my blog has brought me as well. It really has been a blessing being able to find like-minded "friends" over the internet. I never thought I'd say that, but after a few months it's so true! Amen to that one- so true and so much fun. Thanks for stopping by! This was cool to read, since I have only been blogging since June and am also hoping that my blog space can be a ministry of sorts! Love it! I'm trying to be more vulnerable every day, and my blog is definitely an encouraging place to do that. I love how much you have embraced that, though, and the fruit that has come out of it already! This is so good, Kelsie! I just "happened" to be parked by you on Wise Woman today. And, I don't think it was a coincidence! After reading your post, I'm amazed at how similar our blogging experiences have been. I started in January of this year too! And, I can echo so many of the things on your life - the humbling experience it has been, the joy of connecting with so many others, and the unique platform it gives you to share with people around the globe! I recently looked over where my posts were being read - 16% are in other countries. Isn't that cool? To think of the ease of reaching people all over the world! 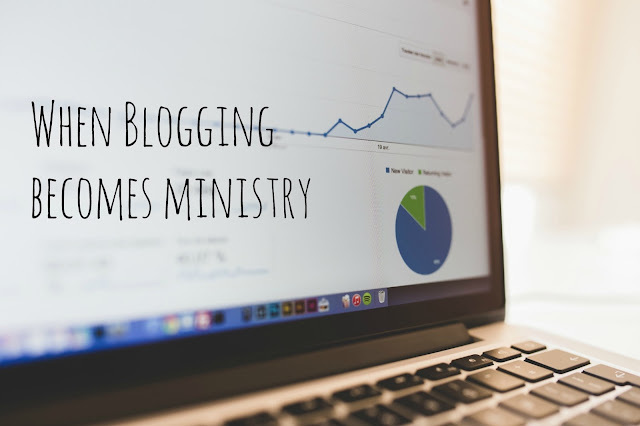 As for balancing the outside ministry with the blogging ministry - that is something I pray for every day. I, too, love to be around people and look them in the eye! As I pray for myself to be balanced in this way, I will pray that you will also know how much time to spend online and how much time to spend "out there." Oh Melanie, thanks so much. So grateful for you, your heart, and your encouragement! So fun that we've had such similar experiences! That is so amazing to think about reaching others in different countries! Just crazy. Thank you so much for the prayers, they mean so so much. Blessings to you! THIS. I discovered your blog a month or two ago and love your openess and humility. I just started blogging a month ago and I pray that it opens doors similar to what you've experienced. Thank you for this space! 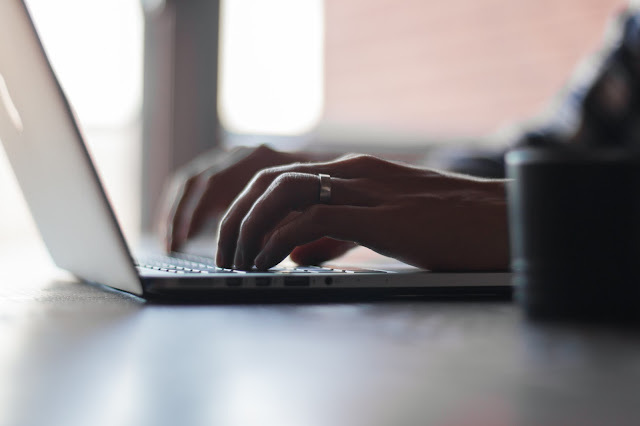 I think that the online world and blogging is a excellent place for ministry. You can only physically talk to so many people and are limited by geographical region. But, online ministry can be worldwide! Thinking about it... we live in a world where some areas don't have running water but they have smart phones. Limitless opportunity. I just love reading your blog posts. Your posts are always so positive. Amazing job Kelsie! Well thanks so much, Ann! Those words mean far more than you could ever know. Thanks so much for reading and for sharing such kind words- you made my day! Thanks, Lauren! You are so right. Thanks so much for being a part of this crazy little blogging world alongside me :) It's nice to have some friends there! Such a lovely post! I pray each day that God uses this writing journey He has put me on as one of His tools to minister to many others! I have written for a long time, and even blogged at my current site for over a year before I began promoting it! It was out of my comfort zone to promote, but I eventually came to grips that with thousands of blogs out there, how would anyone land on my page without some kind of promotion! Ha! So, May was my first month and it is amazing what has transpired! I am going to check out the Peony Project, too! Thank you! Thanks so much, Lori! I totally know what you mean- who is going to read it if you don't promote? I wrestled with that for a while as well. I'm so excited that you've seen so much fruit already. Definitely check out the Peony Project- it's amazing! Thanks for stopping by! This has encouraged me in my own blogging. Thanks so much Kelsie! In response to your comment at Harvest Lane Cottage, I hope you enjoy The Christmas Joy Ride Kelsie. Blessings to you from our Lord and Savior Jesus Christ! Oh I am SO glad you found it to be encouraging. That's my goal and it means a lot! Thanks for the info, I will go and check it out. Blessings to you and thanks for stopping by! Well thank you, Kaynicole! I think openness and honesty is a huge part of this! I love the idea of authentic living ,and letting it truly bleed over into the blogging world. Having others see Him through us is really the goal, isn't it? Thanks so much for reading!! Kelsie- What a great retrospective of the journey God has had you on for the last 9 months. It is so exciting for me to read others who are also on the same journey as I am. I just started officially blogging back in April :) My real jobs - all of them are in full time ministry, but I love how blogging has also become a ministry too and I have gotten to make new friends and minister to people from all over the world. Keep being who you are and sharing your heart with us all. I found you at #ImpartingGrace and I will definitely be back to visit again. It has truly been amazing, Debbie! Blogging is just another fun way for the Lord to use us, that's for sure :) Glad you've meet some awesome people too. I really really appreciate your encouraging words- thanks for stopping by and I hope to see you again soon!! Excellent post Kelsie! I shared it on my FB page. I completely agree. The community I've found through blogging has been a huge blessing. Much more than I ever anticipated when I began my little "online journal" 8 years ago. Many blessings to you and on your ministry. Wow, thanks so much Deb! I will have to go check you out on Facebook! You are so right, it is a huge blessing. Thank you for your kind words, for sharing, and for stopping by! I always say that blogging is the best therapy, and on more than one occasion my community has commented and really helped me. It's a beautiful thing! You are so right, Angie! So glad you are finding community. Thanks for reading! Kelsie, thank you for reminding me of another reason I blog: ministry. Unlike you, I am an introvert. So blogging and connecting online has been wonderful and greatly suited to my personality! Thank you for sharing your encouraging thoughts! Visiting you from Thought Provoking Thursday! That's awesome, Ellen! It is so cool to see how you can put your introvert self out there and encourage others. Thanks for stopping by, it truly means so much! Kelsie, I was nodding my head in agreement throughout this entire post. I'm also grateful for the ministry opportunities blogging provides and the way God shows up in amazing ways! I look forward to reading more and sharing the journey with you! Oh Marva, that is so great! Thanks for stopping by and sharing these words of encouragement. (Case in point, how awesome the blogging community is!) God is amazing, and I love seeing how he can work through this online space that didn't even exist a year ago! Looking forward to seeing you again soon ! I've always appreciated your openness, Kelsie! I love seeing how many others do, too! Thanks so much, Abby! I so appreciate your support! Wow! This post is amazing Kelsie and runs along the same lines as a guest post I just completed this week called "How to find peace as a Christian Blogger" Like yourself , I have been excited to see the reach of my blogging and social media to impact lives for God's glory. I never really thought of it as a ministry before but it truly is just that. I am humbled and thankful that God has directed my journey on this path. I am blessed every day by the comments and the growing community. I don't know that we will ever meet face to face but I am encouraged by this post and your heart for God. Continued blessings to you and yours! Well thanks so much, Horace! That means so much! Isn't it cool to see God using our words! Thanks for sharing such sweet encouragement. Blessings to you!! Keep with it, keep going. There are those you are reaching that you may only reach through your blog. Even if this were your only ministry, it's a huge thing to be given this platform and the words to make a difference. I like to say "Live Your Church." whatever it is, get out there in the mess of life and make your mark, roll around in it. You are making a difference. Keep on! Well thanks so much, Nikki! I really appreciate the encouragement! My vulnerable posts are my most popular. Kelsie, I too started blogging in January and had all the same wonderings you did! I would call myself an introverted extrovert. lol. Around people I know, I am very extroverted, but people I don't really know I am extremely introverted. But like you, I have found that through blogging, I share so much more than I might even with those I know, and now God has provided an audience around the world in places like China and Russia where the Gospel is not heard as readily. All Glory goes to God who has provided everything for me, from blog design to each and every post I have written. Most Sundays, I have no idea what I am going to blog about that Sunday evening, yet the Lord ALWAYS provides content, showing me that it is ALL Him. The internet has provided such an avenue to spread the Gospel and the testimony of God's work in a Believer's life throughout the world. I am humbled to be part of such a ministry. My hubby is an introverted extrovert, so I totally get it :) How amazing is it that you have a worldwide audience? The Lord definitely provides, and we are blessed that He chooses to use us! Thanks for reading. I know what you mean by your blogging and writing becoming a ministry. Once a pastor said you know when you are called to something when you just can't imagine not doing that something. I spend my days blogging, writing, commenting, sharing, and praying. My prayer before the end of the year: one person commenting on my blog that they accepted the Lord Jesus as his/her Savior. Vulnerability is another big issue for me too. I want to lead other's to Christ through my ministry. Failure looms so large. I pray through it and hope God will help me keep on for Him. That is such a great prayer, Mary! Thanks for reading and sharing. I know the Lord will use you in big ways! Found you at Words with Winter and loved your perspective and thoughts on how blogging is ministry. It really is and it amazes me too how the Lord can minister to each one of us through the written words He has put on our hearts. I pray God's richest blessings upon you, dear one and thank Him for blessing the work of your hands. Thanks so much, Jeannie! I really appreciate your prayers and encouragement. Thanks for stopping by! This is beautiful and I wholeheartedly agree with you! Community in the blogosphere has been a catalyst for ministry endeavors and opportunities for His glory and namesake! Thank you for linking this up with us at Grace & Truth! Thanks so much, Holly! It's definitely a great community! Thanks for having me. When I began to blog in 2010 I had my blog in a private setting mode. I wrote for a few selected people and just enjoyed sharing my heart with them. Then one day my husband said "so when are you opening your blog up to the public?" it was a very vulnerable question as he knew and knows I am very private. He said 'you have a lot to share when are you going to allow others to learn from you?' He has been my biggest cheerleader and after 42 years of being married he deserves that role. SO I understand your beginning stages. I learned from nothing other than exposure from one blog to the other. Then I got to know people, to email them and grow in relationship to them. On line since we lived very far away from each other. community is a gift we give to each other. It is good. That's so amazing! Congrats on 42 years of marriage! Thanks for sharing! Hi Kelsie! I'm your neighbor at #IntentionalTuesday. I've only been blogging for a little over two years and I have seen so much of what you have written. I have met so many wonderful people online and IRL that I never would have known had I not been blogging. It's so encouraging to find others who share a love for God and a heart for encouraging others. Blessings to you! Hi, Kelsie! I'm happy to "meet" you here. :) I was much like you when I first started over 2 years ago. I had no clue what a big thing blogging was! And I had no idea the way God would use blogging to encourage me while I try to encourage others. It's funny how things work out that way sometimes. I'm so happy you've joined us over at the Grace and Truth link-up community, too. Hi Jen! Great to meet you as well! Thanks for reading and making me feel so welcome! Such a good read! I've loved connecting with others from all over on different topics. It's a great way to not feel so alone in your struggles or passions! I love this so much! I use my blog as a way for ministey as well and I truly love it. I love the connections I've made with them as well. I love this. I really hope that I can use my blog to minister and witness to others by being real and intentional! Wonderful post, completely agree that blogging brings us together and even the virtual relationships are so valuable - it is such a great way to connect with people from all over.